Inspired by our love for Harry Potter, we created the magnificent Hufflepuff Bracelet. 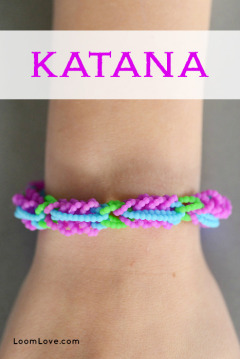 If you are not a Harry Potter fan, you will still love this Rainbow Loom bracelet! Wow I think u should’ve called it griffyndor tho…. It looks so cute! 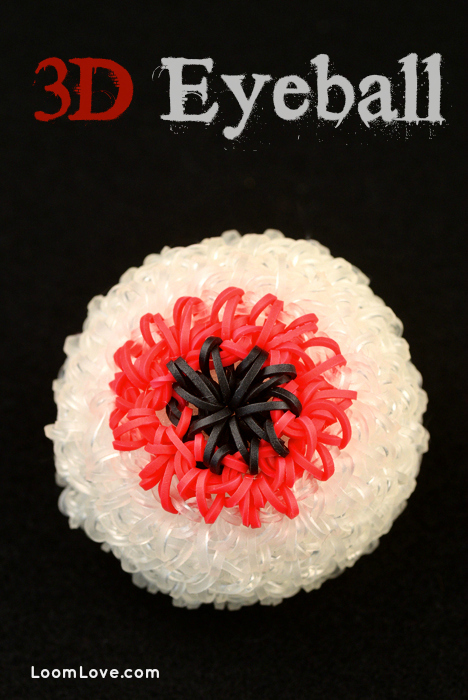 And puffy … just right with the name! I think that it’s better to call it Huffllepuff than Gryffindor, @Loom. It’s just right to call it Hufflepuff! 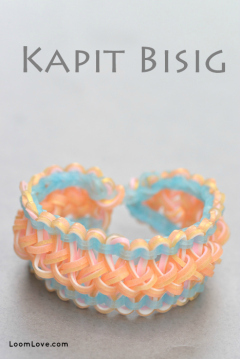 I really love this loom bracelet, and it’s one of my favorites. 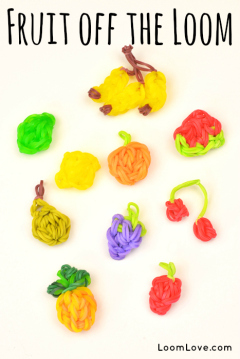 Thanks, LoomLove! it’s soo cute love it! I think Huffllepuff is just the right name. Can you make a ravenclaw bracelet? MAKE A RAVENCLAW BRACELET!!! I would SO be in Ravenclaw if I went to Hogwarts, and when I take quizzes I nearly always get Ravenclaw, and I get Hufflepuff the second most, Gryffindor third, and Slytherin never. But I really hate Draco Malfoy, PLEASE don’t make an action figure of him!!!!!!!!!!!! Comment deleted. It was not LoomLove. Just someone who left it as a name. 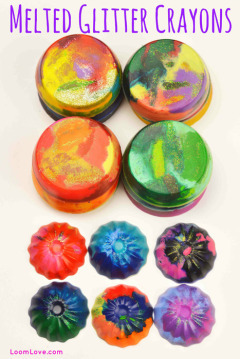 It slipped by our moderator review. Thanks for pointing it out. I hate Draco too. They should do an action figure of Hermione. Hi loom Love! 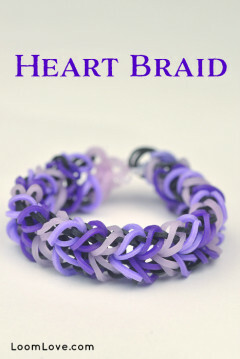 Abigail Here, This Is Such An Amazing Bracelet, I Made It And It Turned Out Super Duper Cool! Thanks For Posting This, I Also LOVE Harry Potter. You could do a Harry Potter rainbow loom “series.” I think that would be really awesome for adventurous people like me with rainbow loom. Like *House charms, the sorting hat charm, lightning bolt bracelet, just a few ideas. * House charms; Ravenclaw, Hufflepuff, Gryfinndor, and Slytherin. Its awesome,obesessed with the books. Don’t watch the movies they are horrible. Oh and a Percy Jackson series too! Ex: Riptide charm, Percy action figure, a bracelet for each of the Olympians, monster action figures, super seven bracelet (for the prophecy of seven), charms to represent each Olympian etcetera… ???? This bracelet is beautiful!!!!!!!!!!! I love Harry Potter and this bracelet! 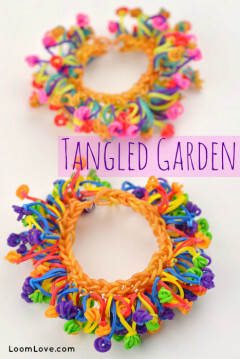 Reminds me of the celtic bubble bracelet by Claire’s Wears. I LOVE HARRY POTTER!!!!!!!!! When I get some more black bands (I’m COMPLETELY out) I’m gonna make this in yellow and black, the House colors! 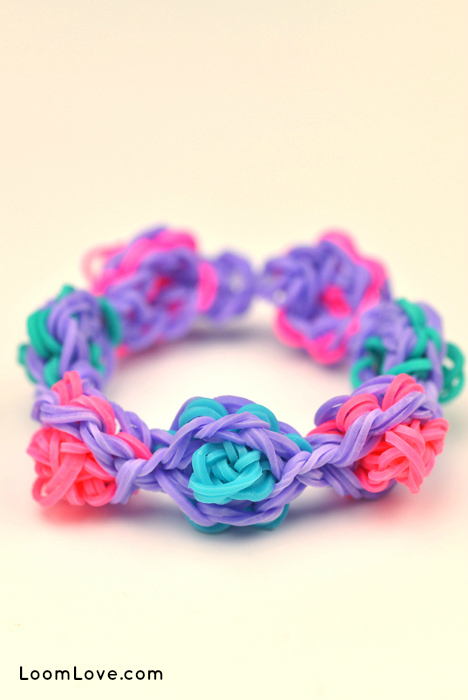 rainbow looms are so cute the filipinos also loves it! May i ask a question, do you have loom bands that are pencil cases,ballpen designs,cases,iphone,ipad,tablet cases? i would just like to advice, but thanks anyways. LOVE YOU RAINBOW LOOMS! hi loom makers! 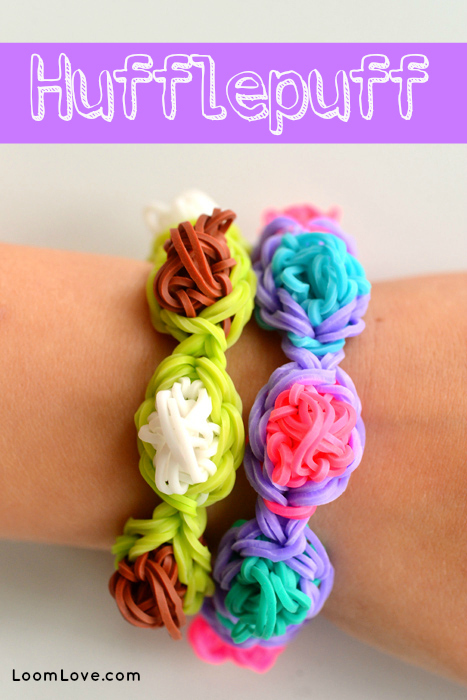 I’m just a new one here, so i had just made few loom bands and are not quite beautiful so i would like to advice you guys to make easy but beautiful loom bands. THANKS! I totally agree with LoomingNerd!!!!!!!!!!!!!!!!!!!!!!!!!!!!!!!!! Pleeeeeeeeeeeease do a Harry Potter series !!!!!!!!!!!!!!!!!!!!!!!!!!!!!!!!!!!!!!!!!!!!!!!!!!!!!!!!!!!!!!!!!!!!!!!!!!!!!!!!!!!!!!!!!!!!!!!!!!!!!!!!!!!!!!!!!!!!!!!!!!!!!!!!!!!!!!!!!!!!!!!!!!!!!!!!!!!!!!!!!!!!!!!!!!!!!!!!!!!!!!!!!!!!!!!!!!!!!!!!!!!!!!!!!!!!!!!!!!!!!!!!!!!!!!!!!!!!!!!!!!!!!!!!!!!!!!!!!!!!!!!!!!!!!!!!!!!!!!!!!!!!!!!!!!!!!!!!!!!!!!!!!!!!!!!!!!!!!!!!!!!!!!!!!!!!!!!!!!!!!!!!!!!!!!!!!!!!!!!!!!!!!!!!!!!!!!!!!!!!!!!!!!!!!!!!!!!!!!!!!!!!!!!!!!!!!!!!!!!!!!!!!!!!!!!!!!!!!!!!!!!!!!!!!!!!!!!!!!!!!!!!!!!!!!!!!!!!!!!!!!!!!!!!!!!!!!!!!!!!!!!!!!!!!!!!!!!!!!!!!!!!!!!!!!!!!!!!!!!!!!!!!!!!!!!!!!!!!!!!!!!!!!!!!!!!!!!!!!!!!!!!!!!!!!!!!!!!!!!!!!!!!!!!!!!!!!!!!!!!!!!!!!!!!!!!!!!!!!!!!!!!!!!!!!!!!!!!!!!!!!!!!!!!!!!!!!!!!!!!!!!!!!!!!!!!!!!!!!!!!!!!!!!!!!!!!!!!!!!!!!!!!!!!!!!!!!!!!!!!! I love Harry Potter so, so, so, so, so, so x10000000000000000000000000000000000000000000000000000 much!! I’m so addicted to it, I read them all the time and I can read Harry Potter and the Order of the Phoenix in one day!!!!! BTW, why did you call it the Hufflepuff bracelet??? It doesn’t have a badger or something on it, and it doesn’t even remind me of Hufflepuff, even if I use yellow and black but it IS a AMAZING, super pretty design! Also since I’m rereading the series (the tenth time) can you make a rainbow loom bookmark? P.S why is it called the hufflepuff bracelet. They said it was inspired from their love for Harry Potter, but it has nothing to do with Hufflepuff. Could you please make the other houses? Especially Ravenclaw, my house. Hai! Can u make a snake-like bracelet, for Slytherin? I hope you’re nicer than Draco then…. The longest Harry Potter book is the Order of the Phoenix, was that the one you found boring? Just wondering, what house are you two in LoomLove? We would choose Ravenclaw or Gryffindor. You guys should do a quiz online or something to know which house you’re in (Pottermore is the most actuate though). I’m a Ravenclaw and proud! I know that there are lots of other AMAZING books, like Wonder, House of Secrets et cetera I would definitely recommend them!! I needed to scream for a moment there when I saw that you made a bracelet named Hufflepuff. Hufflepuff is my favorite house. I make my own loom band designs but I can’t get a YouTube account cuz I’m to young, so could I email you some of my designs, please? Wow ! This HufflePuff makes my world so hot PINK ! Its so amazing ! Ihave 6 Hufflepuff bracelets , Coz i love it !!! 1st I was A little Dizzy , But at the middle part My Dizzy is GONE ! Woww ! Its so AMAZING !! 10 Thumbs up for this !! Luckily, this can be made on the Cra-Z-Loom 😀 !!!!!!!!!! loom love ! 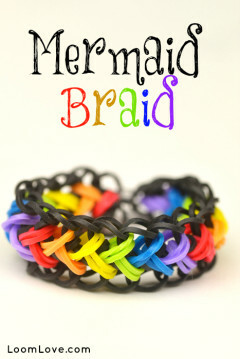 I think you chose just the right name and I made the bracelet and it turned out amazingly epic, so thanks loom love!!!!! I loooooooooooove this bracelet! I had a little trouble because a band snapped but it was alright. Great tutorial!